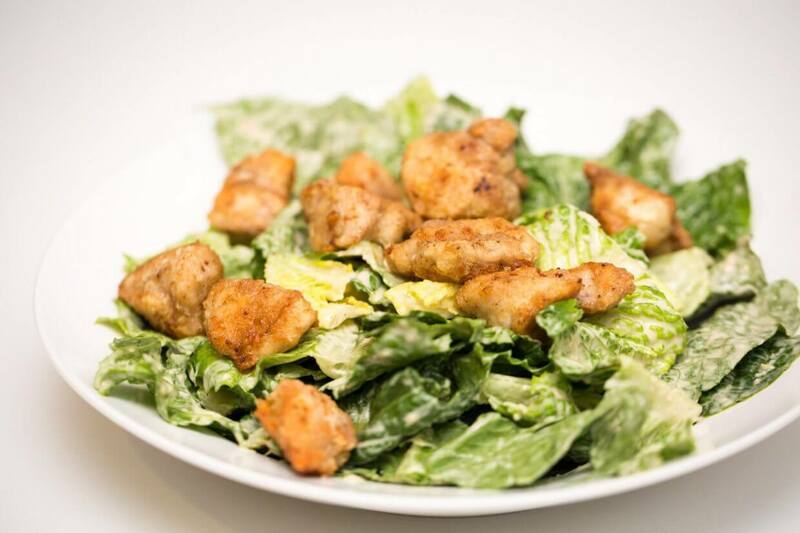 A Caesar salad is a classic, but it’s the real thing that’s deserving of that prestige. With a few ingredients (many that you’ll already have at home), it’s quick and easy to make a homemade Caesar salad dressing. If you’re not familiar with the ingredients in a true Caesar salad dressing, don’t shy away from it or consider omitting any ingredients. Yes, there are anchovies in the dressing, but when combined with all the other ingredients, neither you nor your guests will know they’re there, but they’re critical to the final product. The croutons in the recipe are delicious and easy to make. But when I want the salad to be a meal instead of a side dish, I omit the bread croutons and make my chicken “croutons” as a source of protein. I take coarsely diced chicken thighs, seasoned with salt, that I toss in corn starch to coat. I then fry these in a pan with a generous amount of oil until a dark golden brown and very crispy. They have the satisfying crunch of croutons, but the protein you want in a full meal.